I think these are genius! and not bad at $13.95 for a pack of 10.
i love those birthday cake ones! so cute. 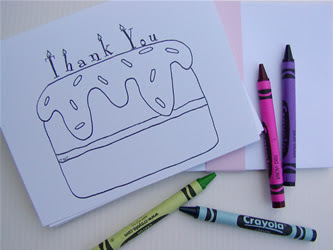 a great way to teach children the importance of thank you notes. 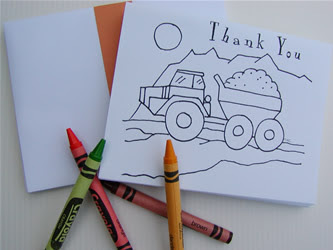 Purchase a box of cards for them to color and personalize with their own special message of thanks.